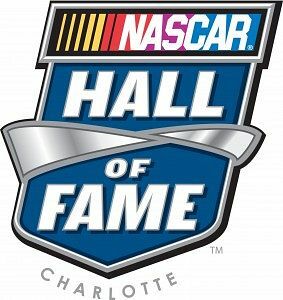 Thanks to Ford Racing which provided the transcript of this interview with Ned Jarrett, one of five members of the 2011 NASCAR Hall of Fame class. Jarrett won Ford’s firstCup Series driver's championship in 1965. Jarrett, who won two championships overall, is Ford’s all-time winningest driver with 43 victories and is part of only two father-son duos to win NASCAR’s most-coveted championship. Q: IT’S BEEN A COUPLE OF DAYS SINCE YOU WERE VOTED INTO THE NASCAR HALL OF FAME. HAS IT SUNK IN YET? It’s beginning to sink in more each day as each day goes by. When it happened, I was almost in shock. I am one of the three retired drivers that was asked to serve on the voting committee long before any nominee was ever announced, so going into the meeting on Wednesday I didn’t think I had a chance. But after some of the discussion and I saw I had a lot of support in there, I began to have a better feeling about it. Still, I tried to not let my hopes get too high because I didn’t want too big of a letdown in case I wasn’t voted in. I was prepared for that, but it’s sinking in and I’m realizing what a great thing it is. Of course, I knew when they announced the NASCAR Hall of Fame that it would be something very special and special to be a part of, and to be able to get in this early is very rewarding. Q: YOU WON FORD’S FIRST DRIVER’S CHAMPIONSHIP AND REMAIN FORD’S ALL-TIME WINNINGEST DRIVER. WHAT ARE SOME OF YOUR MEMORIES OF THOSE DAYS? My relationship with Ford Motor Company over the years has been great and something that I really appreciate. Having won the most races in a Ford race car in NASCAR history is very important to me and to have won the first championship for Ford in 1965 is very meaningful to me as well. I certainly appreciate all that Ford has done for the sport of auto racing over the years. It’s much more than many fans realize and I appreciate my association with them, too. They’ve always been a great company to be associated with. I grew up in a Ford family on the farm. My dad had a Ford car. We only had one car and that was a Ford, and then when they came out with a Ford tractor, he bought a Ford tractor for the farm. He had a Ford truck that hauled the lumber from the sawmill that we had, so I grew up in a Ford family and then for one day to be able to race Ford cars and have some success in them is very meaningful to me. Q: HAVING YOU AND DALE WIN CHAMPIONSHIPS IN A FORD MUST BE EVEN MORE MEANINGFUL THEN. That is very special, too. Having Dale go along and win a championship in a Ford car, and now is one of the largest Ford dealers in the country, means a lot to our whole family. Q: I UNDERSTAND YOU PLAYED GOLF THE DAY AFTER YOUR SELECTION. HOW DID THAT GO? It was one of the worst rounds of golf I’ve ever had on the golf course. I told my buddies that I wish they wouldn’t have inducted me into that Hall of Fame because it just tore my golf game up (laughing). But it was fun to just get out there and relax a little bit. Q: WAS THERE A LOT OF STRESS? It certainly had taken its toll as far as my physical and mental being. I didn’t sleep much that night, so I was tired. That didn’t help my golf game any, but, nevertheless, it was nice to be able to go. Our group tees off at 10:30 in the morning and when we make the turn we stop and have a sit down lunch, and then we go out and play the other nine holes. When I walked into the lunch room at Catawba Country Club, there was a good crowd inside and they all stood and gave me a standing ovation. I really appreciated that and it made me feel real good. Should Carl Edwards be expecting a NASCAR 'secret' fine? Carl Edwards had plenty to say about the upcoming Sprint Cup Series race at Talladega (Ala.) Superspeedway and although it was said in a much different environment - a formal media availability rather than outside the infield care center - it became obvious the message is one we've heard before. Back in the spring, after taking another wild wide in a bad-looking crash in a race at Talladega, Ryan Newman emerged from the infield care center and unloaded on the racing there. He said restrictor-plate races shouldn’t be points races, and that racing at Talladega "was something different besides racing.” He claimed Talladega and races like it were more marketing tools than competitions. On Thursday at Charlotte Motor Speedway, Edwards was asked pointedly, "Should there be races like Talladega?" There is one significant difference in the two responses: Newman received an unpublicized, hefty fine from NASCAR for making comments that "materially damage the sport." As of this morning, Edwards - as far as we know - has not. I look forward to learning how NASCAR officials plan to make the distinction between the two. 10. All of the old signs and stationary with "Lowe's Motor Speedway" logos on it. 9. Piles of sheet metal leftover from the wrecks caused as a result of the speedway's experiment with "levigation." 8. The engine from Richard Petty's winning car in the 1983 Miller 500. It was so big, there was no where else to put it. 7. Unused artillery leftover from many of Humpy Wheeler's invasions of the frontstretch done in coordination with the Memorial Day weekend race. 6. Pounds and pounds of Ostrich meat. If you were there that year, you know what I'm talking about. 5. Audio tape of the bad words Kurt Busch said to NASCAR officials over his team radio during the 2002 all-star race which resulted in a hefty penalty. 4. The original Legends car - a 1950 De Soto. 3. The "Speedway Boulevard" signs tossed away after it was renamed "Bruton Smith Boulevard." 2. One of Ric Flair's 672 professional wrestling world championship belts he dropped after saying "Woooooooooooooooooooooo" one too many times. 1. The remains of the seats of the pants of the Cabarrus County officials after Smith finished "negotiating" with them over building his zMax Dragstrip.